In its war against the diversion of prescription pills, the DEA has targeted doctors, pharmacies, wholesale drug suppliers, and now package delivery services. UPS has buckled, but FedEx is resisting. The Orlando Sentinel  reported Tuesday that both UPS and FedEx had admitted in corporate filings that they were the targets of DEA probes into packages of pills shipped from online pharmacies. Prescriptions filled by online pharmacies are illegal if there is not a real doctor-patient relationship, and the DEA maintains that prescriptions written by "cyber doctors" relying on online questionnaires are not legal. 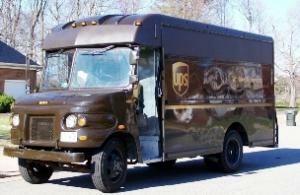 FedEx has strongly pushed back against the DEA probe, but UPS has now buckled under the pressure. In a Friday statement , the DEA announced that UPS had agreed to forfeit $40 million it had been paid for shipments by online pharmacies and to enter into a "compliance program" to ensure online pharmacies can't use its services. The deal was part of a non-prosecution agreement the shipper signed with federal prosecutors in Northern California.